Nickel plated connectors ? For a high quality connection. Screened cable (shielded) ? This prevents interference and reduces noise and crosstalk from other sources that may be situated around the cable. The signal produced is a lot cleaner with fewer defects. Durable PVC jacket ? This thick jacket helps to protect the cable against wear and tear. Cable strain relief to protect the cable ? Enables the cable to be bent in a multitude of directions without breaking. 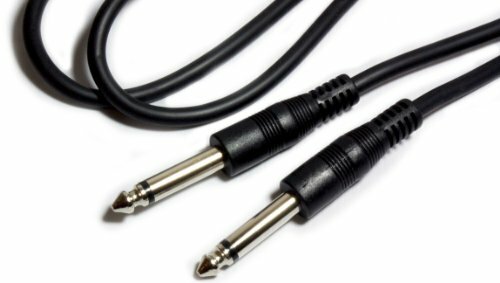 A 6.35mm mono plug to plug cable can be used with lots of different types of equipment. In many situations, leads like this are used to plug a guitar into an amplifier. If you have any questions about this product by Cablefinder, contact us by completing and submitting the form below. If you are looking for a specif part number, please include it with your message.